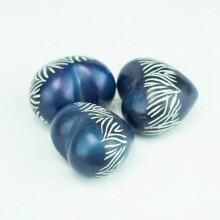 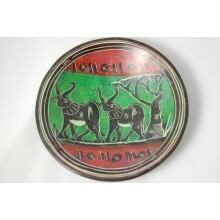 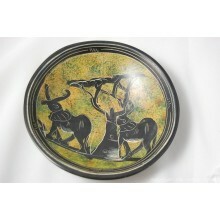 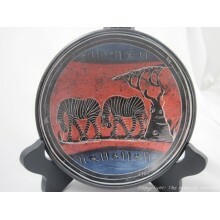 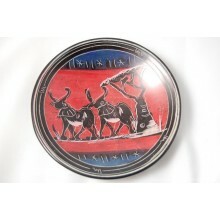 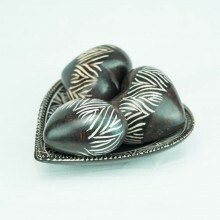 These eggs were hand carved into the egg shape from raw soapstone by local men in Kisii, Western Kenya. 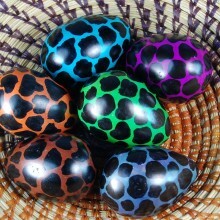 They then smooth the surface and use mostly natural dyes from minerals, vegetables, berries, charcoal and roots for color. 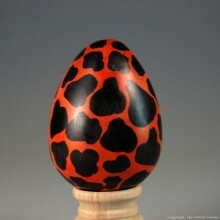 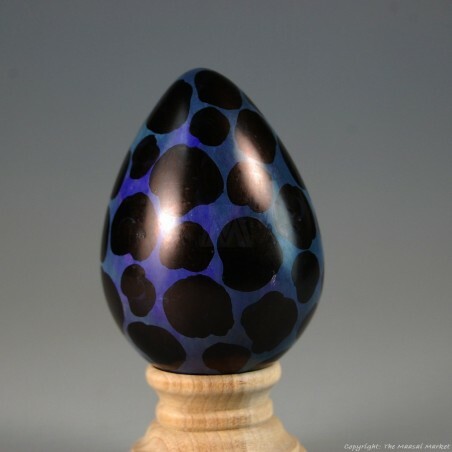 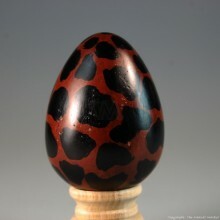 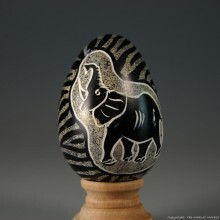 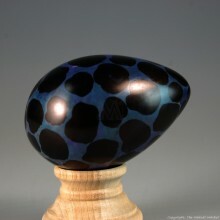 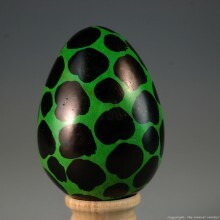 This egg has a Giraffe print that is dark blue and black. 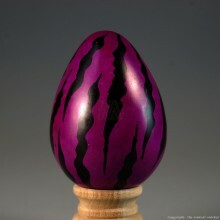 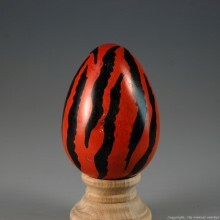 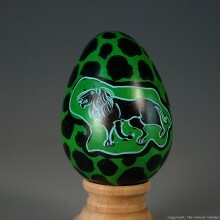 We do have other eggs with the same print in other colors. 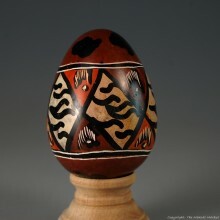 Since they are handmade, no two eggs look exactly alike. 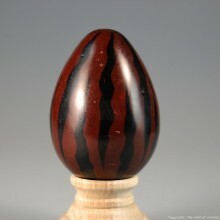 Like the egg stand? It's not included but you can buy it here so you can get it with the egg for immediate display.